Aleksey Smolenchuk (lxe) has recently uploaded a step-by-step guide to setting up a GOES weather satellite receiver with an RTL-SDR dongle, Raspberry Pi and the goestools software. GOES 15/16/17 are geosynchronous weather satellites that beam high resolution weather images and data. In particular they send beautiful 'full disk' images which show one side of the entire earth. 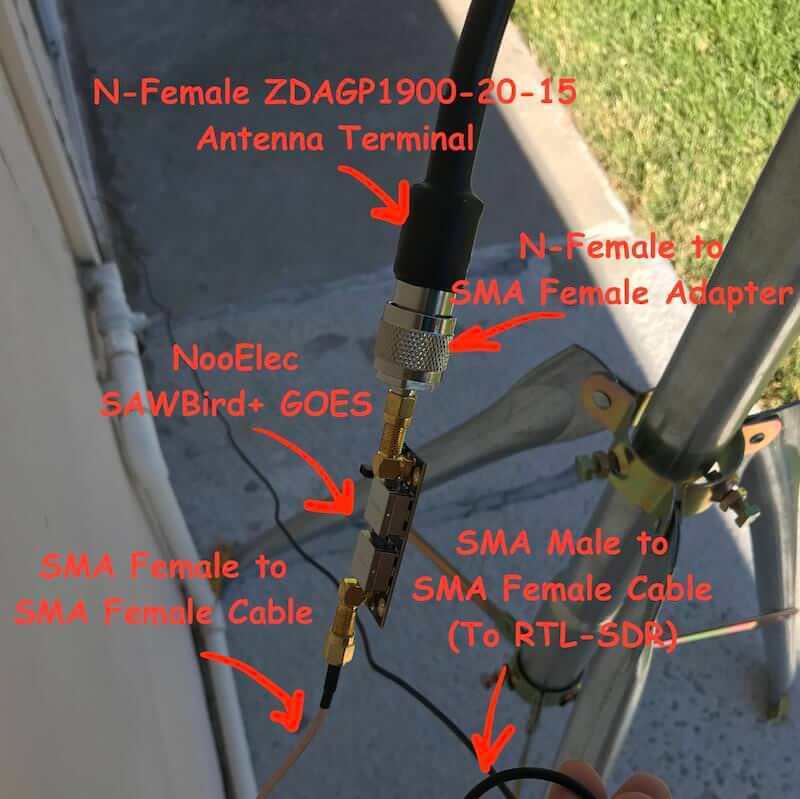 Compared to the more familiar and easier to receive low earth orbit satellites such as NOAA APT and Meteor M2 LRPT, the geosynchronous GOES satellites require slightly more effort as you need to set up a dish antenna, use a special LNA, and install Linux software. Aleksey's tutorial first shows where to purchase the required hardware and notes that the total cost of the system is around $185. Next he goes on to show the hardware connection order, and then how to install and configure the goestools decoding software onto a Raspberry Pi. What if I live in Europe?